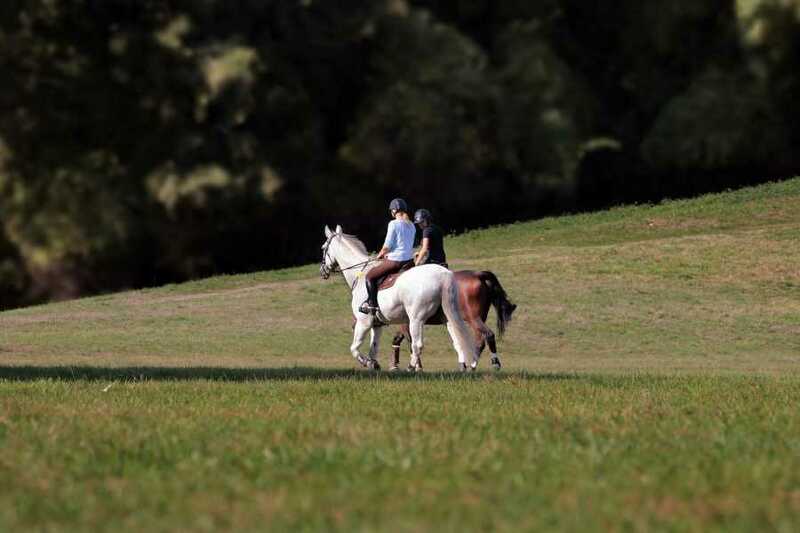 Horses & Vineyards horseback riding tour in Tuscany will reveal the true beauty of the Tuscan countryside, giving you the opportunity to explore it in the most natural way! You will be comfortably shuttled to the Florentine Chianti region (15 min. ride) where the world-famous wines are produced. Here, you will be given a brief lesson to get acquainted with your horse, before a relaxed and easy horseback ride. Your trip, of approximately one hour, will take you through the picturesque Chianti landscape, riding among vineyards, olive groves and medieval villages to your destination of an estate with a 14th century villa. At the villa, you will enjoy a guided tour of the gardens and the ancient wine cellars as well as an explanation of the production of both olive oil and Chianti wine before a tasting of both. The tasting is followed by a typical Tuscan lunch of bruschetta and pasta. After lunch we return you to Florence via a scenic drive in one of our minivans. NO previous riding experience is required and riding hats (helmets) are provided. The tour is not permitted for children under 14 years of age. Please note that partecipants must be at least 14 years old and accompanied by at least one parent on the tour.